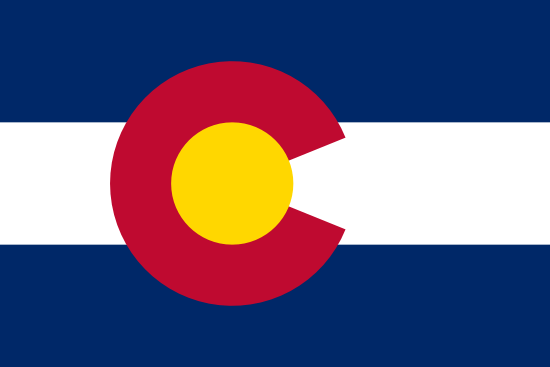 Colorado sports betting is prohibited by law, although that doesn’t stop plenty of illegal wagers from taking place each year. This is similar to the situation in most states, as only Nevada has complete freedom to conduct legal bookmaking in the United States. And no matter what the law says, people are going to find ways to wager on sports. During the 2015 Super Bowl, it’s estimated that more than $3.8 billion in illegal bets were made (and that’s just on a single game). In this article, we’ll look at the basics of sports betting in Colorado and examine the options available to gamblers. If you’re passionate about the hobby, it’s also a good idea to sit down with an attorney and learn about your rights under the laws of the state. Now here’s the good news: these laws were designed to punish online casinos and bookmakers and not hard-working Americans looking to wager on a couple of football games. If you can find an online bookmaker willing to take your money, you should be able to wager all you want without having to worry about the police raiding your home. Institutions of higher learning are located all over Colorado, but only five compete at the NCAA Division I level. This designation is notable because bookies often provide betting lines for games of this caliber, while smaller schools may be ignored. Colorado teams have a long history of NCAA football and NCAA basketball success, as well as success in other NCAA sports. • University of Colorado – Boulder –The Colorado Buffaloes compete in the PAC-12 in 17 men’s and women’s sports. They’ve captured 28 national titles as of this writing, with the bulk of them coming in skiing competitions. • Colorado State University – Members of the Mountain West Conference, the Colorado State Rams compete in 17 sports. While they haven’t won any national titles, their programs have captured a number of conference and tournament championships. • University of Denver – The Denver Pioneers have been competing since 1867, and they’re known for their success in winter sporting events. They’ve captured at least 30 NCAA titles in sports such as skiing, lacrosse, and ice hockey. • University of Northern Colorado – The Northern Colorado Bears have been a member of the Big Sky Conference since 2006. Prior to their move to Division I, the school captured a pair of Division II football championships in 1996 and 1997. The men’s basketball squad made their first March Madness appearance in 2011. • U.S. Air Force Academy – The Air Force Falcons field 17 men’s and 10 women’s teams, with most of these competing in the Mountain West Conference. Their non-NCAA boxing program has won 18 national titles, while both the men’s and women’s rugby teams have captured multiple national titles. Their football team, which competes in Division I FBS, has won 11 bowl games. Colorado is the least populous state to have a franchise for every major sports league. Much of this is due to the fact that Denver is the most significant metropolitan area for over 500 miles, which allows their fanbase to stretch into neighboring states and draw significant support and ticket sales. Of the major league teams listed above, the most successful has been the Denver Broncos. The team only has six losing seasons since 1975, and during that time they’ve also managed to win seven AFC Championships and capture two Super Bowl titles. • Wager with Friends or Co-workers – It’s quick, simple, and leaves no paper trail. As long as both parties are willing to honor their wagers, this is the most efficient way to conduct illegal sports betting. • Drive to Las Vegas – If you’re willing to drive the 749 miles from Denver to Las Vegas, you can engage in all the legal sports betting you desire. • Wait until March – Most gambling laws seem to be overlooked when March Madness rolls around, from friendly side wagers to office bracket pools. This is a good way to get your gambling fix without drawing the attention of the authorities. • Find a Local Bookie – If you can locate a local bookie, you’ll have access to all manner of betting lines. I recommend using someone that you can verify, as you don’t want to risk them welching on a bet. Like most states, sports betting in Colorado is illegal. While this creates some difficulties when it comes to wagering on athletic competitions, creative gamblers can still find ways to get in on the action. Online betting is always an option, as there are multiple Internet sportsbooks willing to accept American customers. And for those who are unwilling or unable to wager online, there are still the time-honored options of placing bets with friends or tracking down a hometown bookie.